With so many ingredients in products these days that are not beneficial and can cause our skin to misbehave more and more people are turning down the natural / organic path. I enjoy more things that are this way because I find my skin is at it's best with products that aren't full of ingredients, I know quicker what I'm not benefiting from too. It can be a costly path but for me it's a happier path. In preparation for Earth day I decided on a collaboration posts with a few other bloggers who enjoy products that are friendly to the Earth, being that they are either natural, organic, animal friendly or vegetarian/vegan suitable. Sarirah from Pretty Not Included (she gave me the idea of this in the first place with a comment she left on my blog a few months ago)and Yolanda from Pink and Leopard Prints. You should notice posts from all of us sharing brands that are either budget friendly, luxury, brands we have tried or yet to try. Let's just celebrate a week of being GREEN! 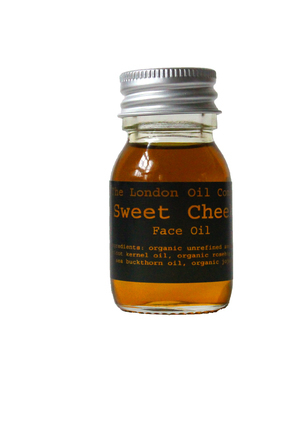 Against animal testing and located within the UK no harsh chemicals, alcohol or parabens or any preservatives. Their products range from body oils to help you sleep, kick start your day and even oils for those of you glowing expectant mothers. Quite another pricey brand that I haven't yet tried, samples are available from £3.00. I must say their Sweet Cheeks and Sleepy Head Bath Oil captured me, I don't even do Lavender but I would like to see how well this relaxes me. Pure Lochside is a Scottish spa brand, free from parabens, sulphates, mineral oil, petrochemicals, silicones, PEGS, propylene glycol, TEA, DEA and phthalates and also against animal testing. Pure Lochside can be pricey with some of their products. I have used products from this company before, their Organic Orange Cleansing Oil. I'd like to try their Cleanse and Refresh kit next. You can purchase online purelochside.com or visit one of their two spas to get the full Pure Lochside experience. I've used this moisturiser for a couple of years now, it's main purpose is to keep the skin's oil under control to stop breakouts during the day. I enjoy the whole Good Things brand on a whole. It's affordable and smells good. I always have to have this mattifier in the house as I always tend to refer back to it. With Goji berries as an ingredient it's an antioxidant which helps against free radicals. Emani is an American cosmetics brand that are formulated and manufactured within the US. Vegan and natural products, a company who doesn't test on animals. Their website has a entire list of ingredients used in their products. Free from parabens, mineral oils, petroleum, talc, gluten and filers and more. I'd like to see how this somewhat compares to Inika, how pigmented this is and how well it holds up. There's a few websites that sell Emani here & here. Australian skincare brand, I had this in my possession last year for a giveaway. Their a brand that are against animal testing, vegan recyclable and 100% Australian made. 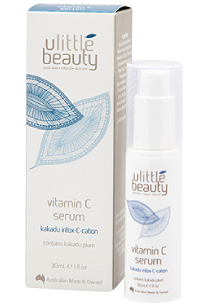 Vitamin C is that vitamin that is making it's rounds and is beneficial to the skin. You won't find parabens, artifical colouring, fragrance or Petrochemicals within this skincare range. U Little Beauty is available within the UK here and here. The serum I had, is definitely one I would try. Tell me what's your favourite 'Earth Day' product or brand that you love? I have heard of the London Oil Company, they invited me to an event I couldnt attend, I wish I could. Pure Lochside goodies sound nice, esp that cleansing oil. I have never heard of Emani before or U Little Beauty (it has SUCH an Aussie name, I can picture someone from Home & Away saying it! LOL - I will check these brands out as you know I love natural beauty goodies!